Being a woman in the 17th century was kind of the pits. Even though she was one of the most celebrated and well-endowed women in Europe, Hortense Mancini knew this all too well. She was married off at 15 to Armand-Charles de La Porte de La Meilleraye (he sounds rich because he was rich) in 1661, and it was by no means a happy marriage. In fact, Hortense, Duchess du Mazarin, was infamous even during her own time for her flight from the union, and her efforts afterward to keep herself independent, financially solvent, and just pretty much away from Armand at all costs. Thing is: that is the least absurd thing to happen in her life. From nightgown duels to royal suitors to her husband’s final, horrific act, Hortense’s life (and death) was one of constant, extravagant, and rebellious movement, often against the restrictive bonds of Restoration womanhood—and if she failed in these quests, it was also a failure of her society. By the time she died in 1699, most of Europe knew her name. It’s time you did too. Although she would suffer nearly unbelievable misfortune as an adult, at first it seemed Hortense was birthed under a benevolent star. Born in Rome to a great noble family, Hortense and her four sisters—Laure, Olympe, Marie, and Marie Anne—were renowned for their beauty. 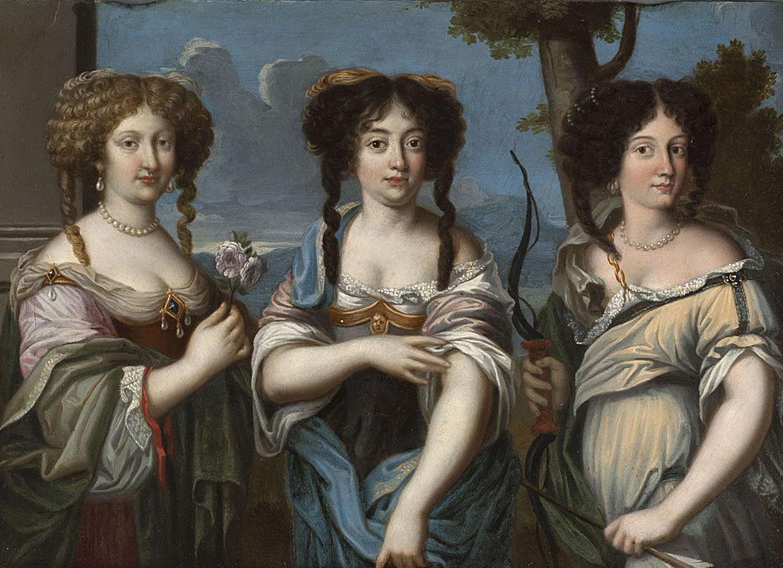 When they went to the French court of Louis XIV, their stunning good looks even earned them the nickname “The Mazarinettes” (and you know it’s official when you get a nickname). If that weren’t enough, their uncle was none other than Cardinal Mazarin, one of the most influential men in Europe at the time. So the Mazarinettes had beauty, power, and now they needed husbands. Preferably rich husbands. Like everything else in their lives up to that point, the Mancinis were absurdly successful at achieving their desires. The family relocated to Paris to attract their prizes: Laure married a French duke and mothered a famous general; Olympe’s marriage would birth a Prince; Marie became the first love of none other than the King of France, and Marie Anne married yet another duke and birthed yet another famous military luminary. And as for Hortense? 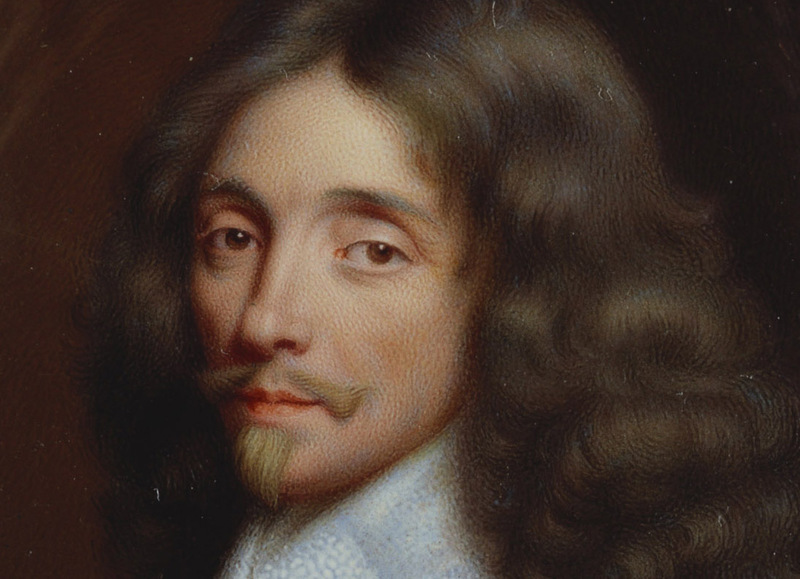 For a while, even King Charles II of England was courting her, but she was Cardinal Mazarin’s favorite niece, and he didn’t want to give his precious girl away too easily, especially not to a king like Charles, who was in exile at the time. This may have been the first bit of bad luck Hortense ever experienced: just months after his proposal, Charles was back ruling England. Try as he might, the Cardinal couldn’t get His Majesty to reconsider his offer of marriage. Nonetheless, at first, it seemed like Hortense came out on top. Instead of the King, she got Armand, who was one of the richest men in Europe. Yet despite these many (many) reasons to recommend him, Armand was also 20 years Hortense’s senior—and a total stick in the mud. The man was fanatically religious, possessive, miserly, and seriously unhinged. Need proof? Our friend Armand felt that cows’ udders were too sexually explicit, so he forbid his milkmaids from milking them; i.e. going about their job. Oh, but there’s more. He hated to think of any woman around him attracting male attention, so, totally rationally, he regularly knocked out the front teeth of his female servants. Armand also had an extensive collection of paintings, as befits a man of unimaginable wealth, but he “customized” these works of art by chipping off or painting over all of the bits he found too salacious. Now that’s what I call an eligible bachelor. 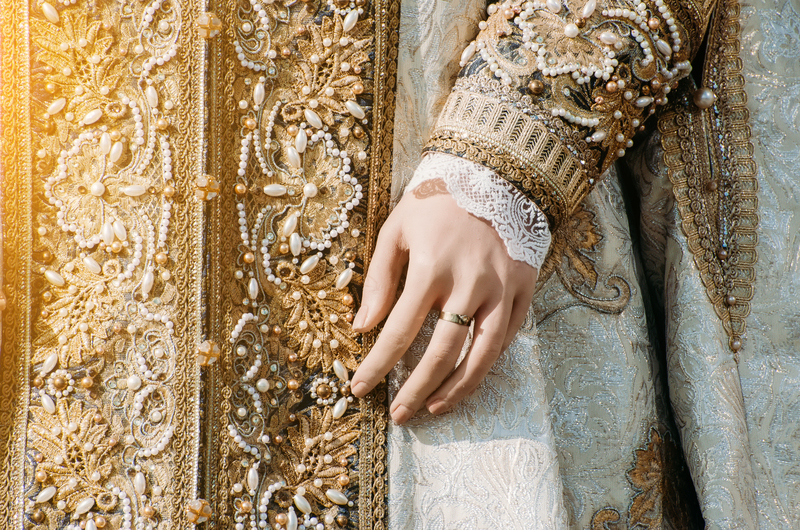 It’s a testament to Hortense’s allure that as soon as she was a semi-free agent, not one but two powerful men extended their protection to her, Charles Emmanuel II, the Duke of Savoy, and Louis XIV, the King of France. After Savoy died, putting her in need of a new source of income, the Duchess du Mazarin even took it upon herself to rekindle her old flame with Charles II, now very much the King of England. She spirited herself to London dressed as a man (apparently not an uncommon occurrence) and began to wheedle her way back into the King’s good graces, aiming for the “chief mistress” position. The fact that the King already had a chief mistress didn’t bother Hortense—and it didn’t seem to bother Charles, either. But Hortense wasn’t on her best behavior as a mistress. During her time in England, she very likely got into an intimate relationship with Charles’ illegitimate daughter Anne, the Countess of Sussex. Safe to say, it’s not a very good move for the new step-mom to be sleeping with daddy’s little girl. Bizarrely, this intrigue all came to a climax when Anne and Hortense engaged in a public fencing match wearing only their nighties. Anne’s husband saw this for what it totally was—elaborate foreplay—and ordered his wife to the country, where Anne then refused to leave her bed and demanded to kiss a miniature of Hortense at all hours. If you need to read this insane paragraph again just to take it all in, I understand. Charles wasn’t happy about the sexually charged fencing either, and when Hortense then also started sleeping with the Prince of Monaco, she found herself booted out as chief mistress. Even so, a glimmer of luck was still on her side: this fall from favor was more of a conscious uncoupling, and she and Charles remained friends afterward. 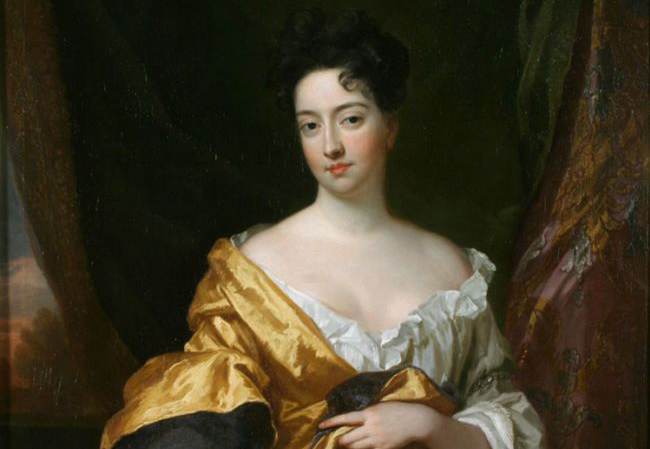 Indeed, Hortense continued to be supported by the Crown until her death in 1699. In many ways, beginning with her famed flight from Armand-Charles, Hortense Mancini challenged domestic ideas of womanhood at the time: her life was one of movement, mobility, and independence at a time when many women were expected to bow to the pressures of hearth, home, and husband. Against these restrictions, she moved between lovers of both genders, between patrons, and between countries. But these privileges had their limits. For one, after the virtual dissolution of her marriage, Hortense was dependent on the fickle kindness of wealthy men to maintain her (admittedly extravagant) standard of living. And of course, this dependence began much earlier, with her being carted off to Paris to find a rich husband in the first place, and indeed with her teenaged union itself, chained to a nightmarish man decades older than her for the sake of financial stability. In short, her freedom—both financial and marital—always had strings attached. After her death, this would become disturbingly clear. You see, when Hortense died, lavish as her life had been, she left debts and creditors at her door. In a macabre move, one of these creditors claimed her remains as payment. Enter: Armand. 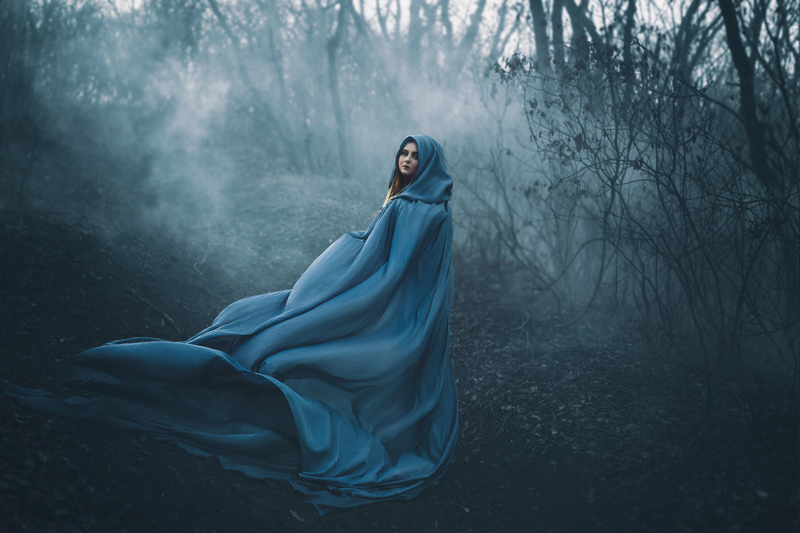 As she had been cavorting around with kings, Armand had been lying in wait—and her demise was his perfect opportunity. He paid off the creditor, claimed her body, and promptly took it on a ghoulish tour of France. For nearly a year, he visited his own country lands with his corpse bride, making sure to linger in the ones Hortense so hated in life. Then he finally deigned to put her in the ground. With these acts, Armand perverted Hortense’s lifelong mobility and independence. Or rather, he exposed it for what it had always been: conditional. Ultimately, the Duchess couldn’t Thelma and Louise the world; mobile as she was, she couldn’t move outside the patriarchal system of the time. In fact, the key to her success was the exploitation of these structures—via wealthy patronage—not their utter demolition. The fact that the system turned on her in death is unsurprising, but it is still deeply unjust. Hortense Mancini, Duchess of Mazarin, was a vibrant, magnetic woman who lived an extravagant life, and it is that remarkable life we should remember.